ISRAEL21c proudly traces the steps of Israel’s audacious moon mission, starting with small communications satellites and ending in a crash landing that only delays, but does not crush, the dream. The National Committee for Space Research (NCSR) is established by the Israeli government and the Israel Academy of Sciences and Humanities to explore the feasibility of space launches and satellite development. The Israel Space Agency is founded under the auspices of the Ministry of Science and Technology, responsible for initiating, leading and coordinating all activities of the civilian space program. AMOS-1, Israel’s first civilian communications satellite, is launched from the European Space Centre in French Guiana on May 16. Its purpose was to enable home TV services provided by YES in Israel and by HBO and other networks in Europe. Today, Spacecom’s AMOS satellite fleet provides broadcast and broadband satellite services with Pan-European, Pan-African, Middle Eastern, Russian and Asian coverage and cross-region connectivity. Col. Ilan Ramon perished alongside the six other astronauts on board the ill-fated Columbia when it burned up on Feb. 1, 2003. 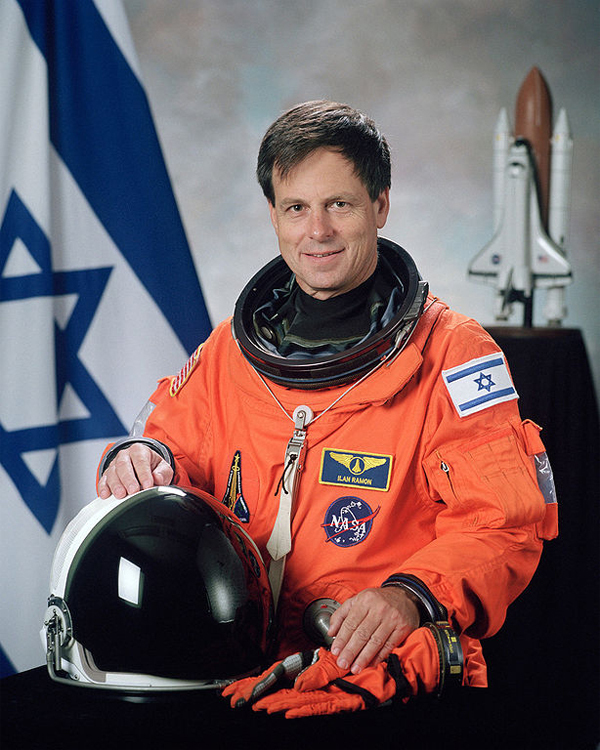 The first Israeli astronaut, former fighter pilot Ilan Ramon, goes into outer space aboard the Space Shuttle Columbia on January 16. Tragically, he and his six crewmates perished on February 1, 2003, when Columbia broke apart during reentry into the atmosphere over Texas. However, Ramon’s achievement inspired people in Israel and beyond, sparking heightened interest in Israel’s potential role in space exploration. Raz Itzhaki (currently cofounder and CEO of nanosatellite startup NSLComm and former manager of Israel Aerospace Industries’ nanosatellite department) founds the Israeli Nanosatellite Association with a group of young space engineers and scientists — including Yonatan Winetraub — to promote the development of nanosatellites for academic, educational and commercial purposes. The Google Lunar X Prize is announced on September 13, with the stated aim of encouraging commercial spaceflight and exploration. The contest challenges privately funded teams to put a robotic spacecraft on the moon, move the craft 1,640 feet (500 meters), and have it beam high-definition photos and video back to Earth. The first team to do this by the end of 2012 (the deadline was later changed to March 31, 2018) would win $20 million. The second-place team would get $5 million, and an additional $5 million was promised for various special accomplishments, bringing the total prize purse to $30 million. 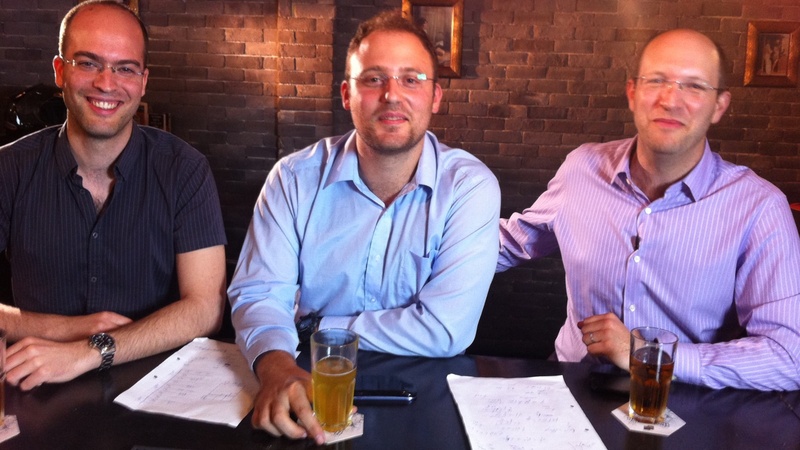 Three young Israeli engineers – Yonatan Winetraub, Yariv Bash and Kfir Damari — register for the Google Lunar X Prize competition in December after discussing logistics of an Israeli moon mission at a pub in the Tel Aviv suburb of Holon. Israel is the 34th, and last, country to register. 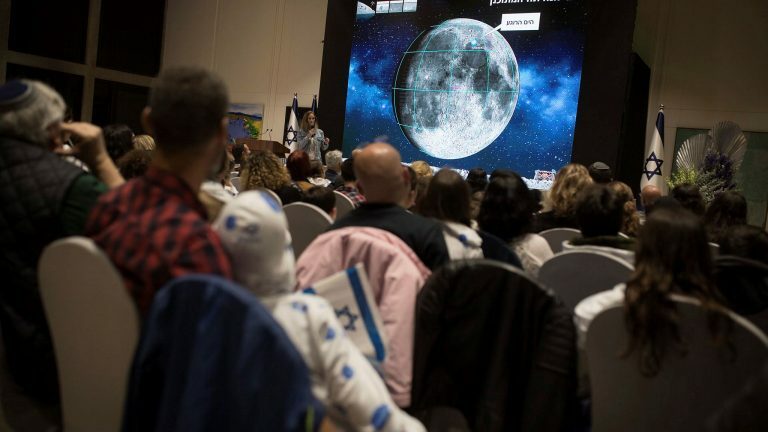 On May 19, Winetraub, Bash and Damari establish the nonprofit SpaceIL with a team of scientists, engineers and academicians who will work on the spacecraft and develop curricular materials to excite Israeli schoolchildren about space exploration and careers in STEM (science, technology, engineering and math). They pledge to donate prize money, should they win, to this educational effort. On October 7, SpaceIL becomes the first Google Lunar X Prize team to secure a contract to launch its spacecraft to the moon. The deal was signed with American company SpaceX to use one of its Falcon 9 rockets for the launch. At this point, only 16 of the original 34 teams are still vying for the prize. On January 24, SpaceIL is named one of five finalists remaining in the multi-million-dollar Google Lunar X Prize race to the moon. The other finalists are teams from India, Japan and the United States, as well as an international team of individuals from about 15 countries. On August 7, the SpaceIL team starts to assemble the spacecraft at Israel Aerospace Industries’ clean room in Yehud, with components and subsystems manufactured in Israel and abroad. 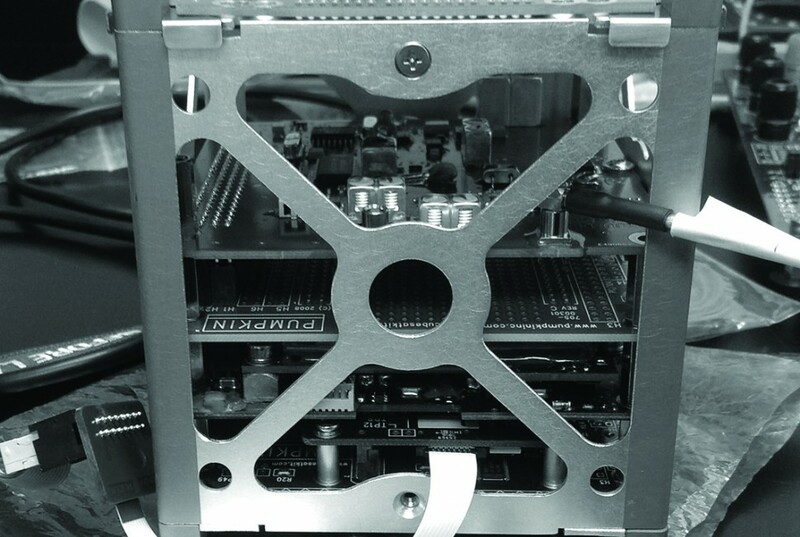 The design continues to undergo revision until the final assembly in June 2018. In April, SpaceIL announces it has continued building its craft despite the expiration of Google Lunar X Prize, relying on its partnerships with IAI, the Israel Space Agency, equipment manufacturers and scientists; and private donations to the tune of about $100 million. The primary donor is philanthropist Morris Kahn, a South African émigré to Israel. 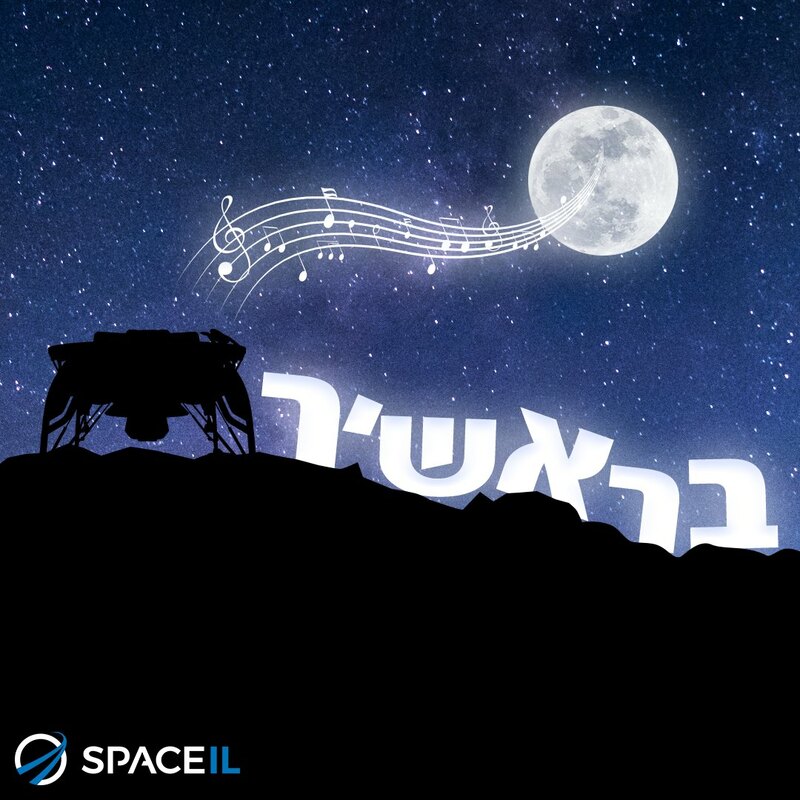 On December 13, SpaceIL announces that the name of the first Israeli spacecraft to the moon will be Beresheet (In the Beginning, or Genesis, the first word in the Bible). 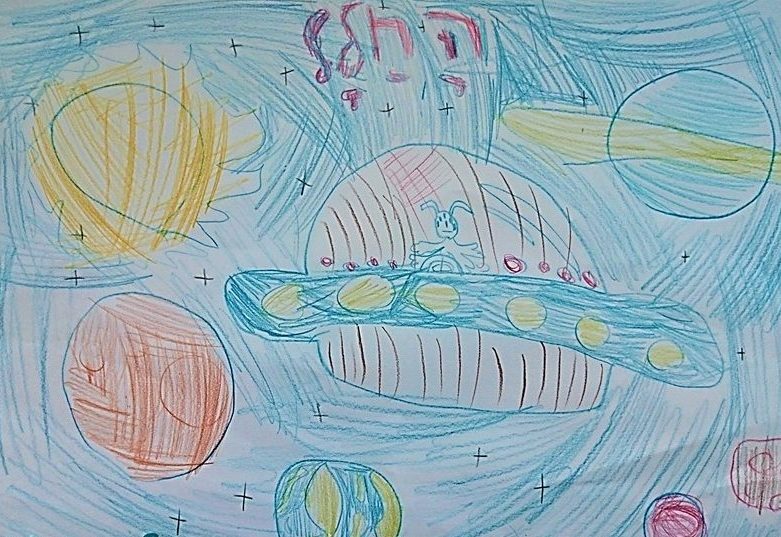 The Israeli public was invited to suggest Hebrew names on SpaceIL’s Facebook page and then vote for their favorite out of nine finalists. The name Beresheet got most of the votes, symbolizing the beginning of a new space era in Israel. 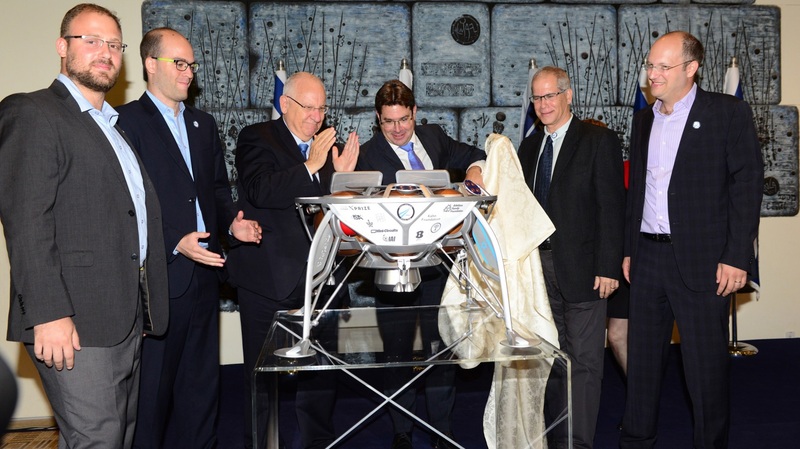 On December 17, SpaceIL and IAI present a time capsule that will be packed aboard Beresheet. 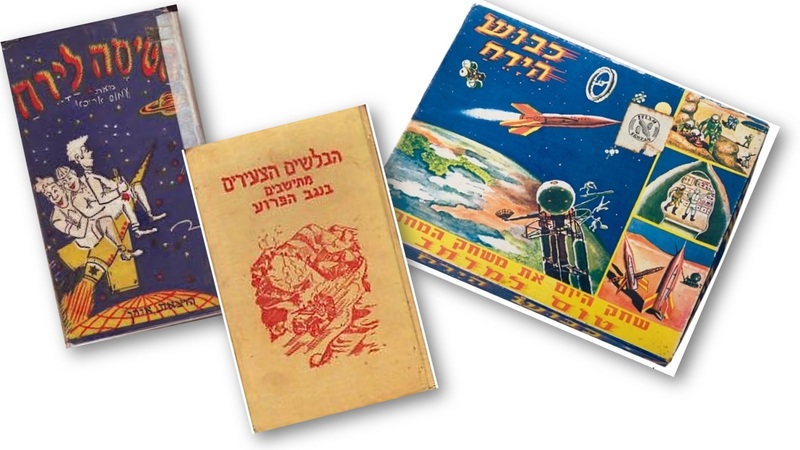 It contains three disks with hundreds of digital files of documents including Israel’s Declaration of Independence, flag and national anthem, a nano-Bible, dictionaries, encyclopedias, Israeli songs, information about Israeli scientific and technological discoveries and developments, children’s drawings, and photos of Israeli landscapes and cultural icons. 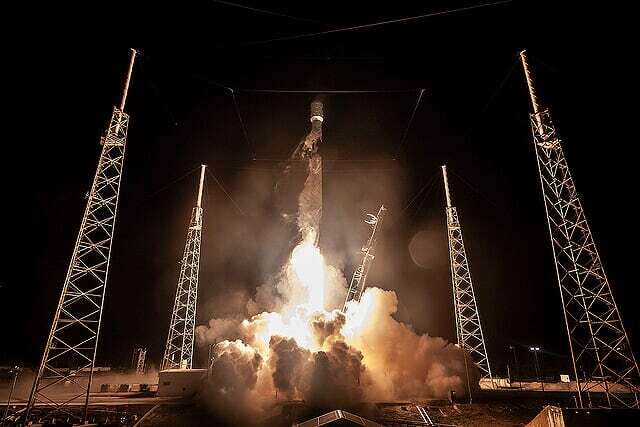 In an emotional and historic moment for Israel, the Beresheet unmanned spacecraft launches flawlessly in a SpaceX Falcon 9 rocket from Cape Canaveral Air Force Station in Florida at 8:45pm February 21 (3:45am February 22 Israel time). 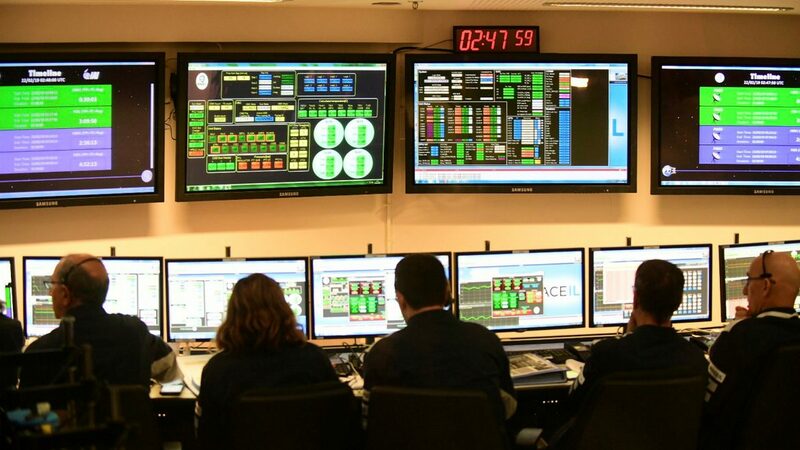 The countdown was recited in English in Florida, and in Hebrew at Israel Aerospace Industries’ control center in Yehud. The liftoff was watched live by tens of thousands of people on social media. SpaceIL has six ground stations set up around the world to enable communication with Beresheet on its way to the moon and after landing. On March 6, Beresheet takes its first selfie photo with an on-board camera, and sends it back to Earth. 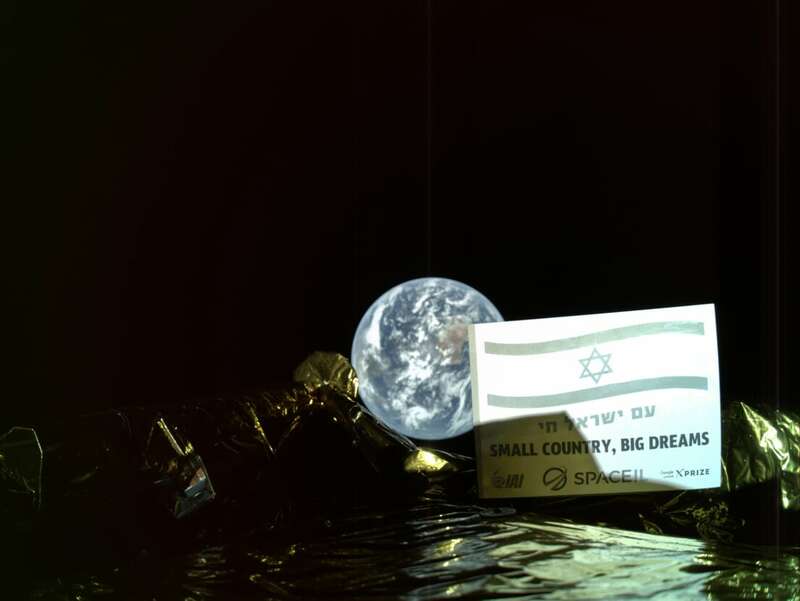 On March 25, SpaceIL and IAI share images and videos transmitted from Beresheet, taken at different heights and times along its journey toward the moon. 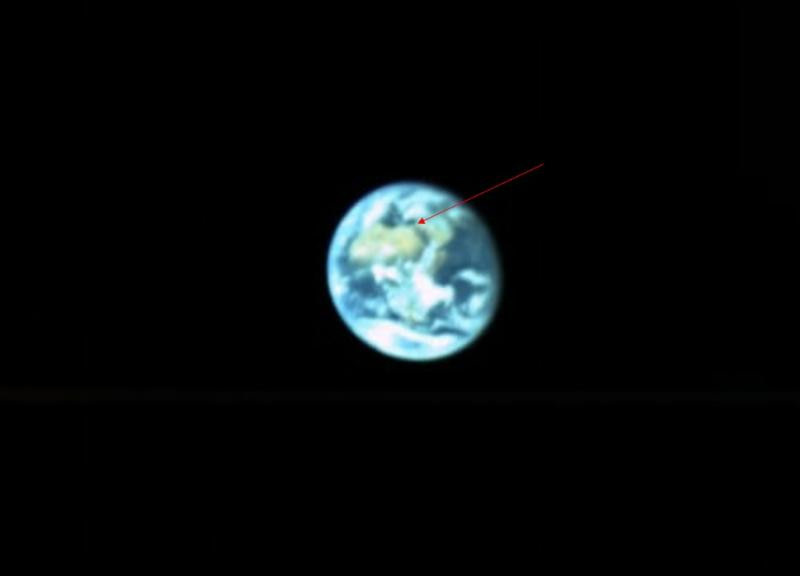 On March 31, Beresheet completes its final orbit around Earth, passing only 1,700 kilometers from its home planet in a 72-second maneuver intended to achieve synchronization with the lunar orbit on April 4. At 5:17pm (Israel Daylight Time) on April 4, SpaceIL’s engineering team and IAI successfully complete the critical lunar capture maneuver. This enables the spacecraft to be captured by the moon’s gravity and begin an elliptical orbit around the moon. The difficult maneuver involved reducing the spacecraft’s speed from 8,500 km/hour to 7,500 km/hour, relative to the moon’s velocity. In the coming week, with expected intense engineering activities, many more maneuvers will take Beresheet from an elliptical to a round orbit, at a height of 200km from the moon. 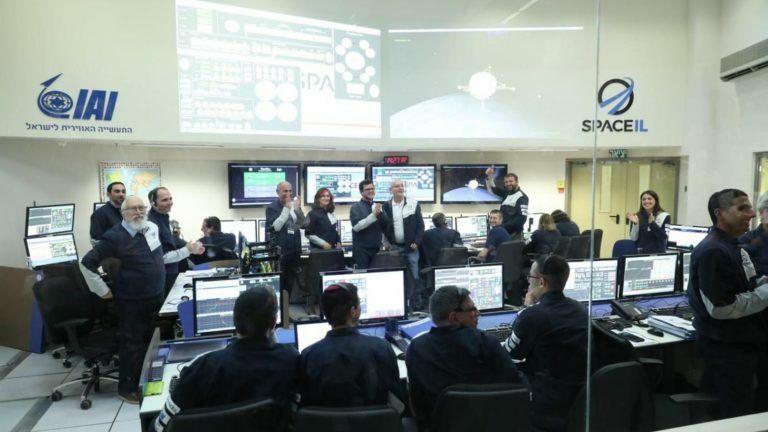 The maneuvers will aim to reduce the spacecraft’s distance from the moon and reach the optimal point to conduct an autonomic landing in the Sea of Serenity in the evening Israel time, April 11. 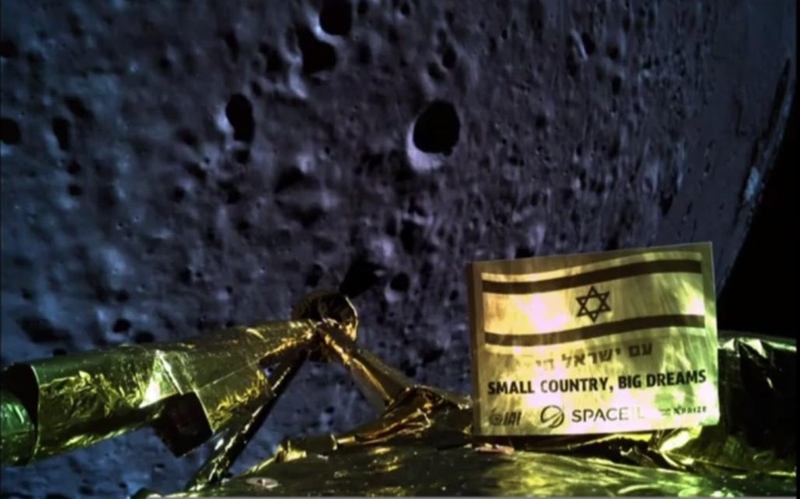 On its descent to the moon’s surface on April 11 at about 10:15pm Israel time, Beresheet loses contact with the control room and its main engine fails, resulting in a crash landing. “Keep dreaming! 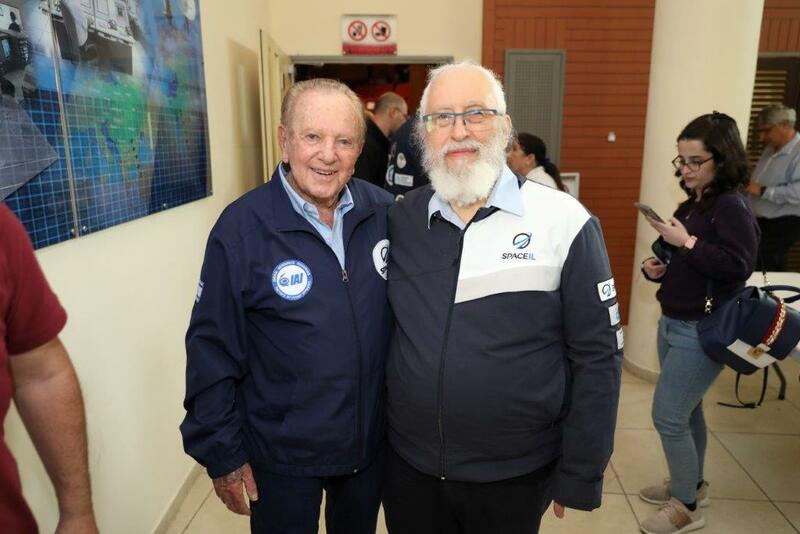 We got close, but unfortunately we couldn’t make a full landing on the moon,” SpaceIL posts on its Facebook page. 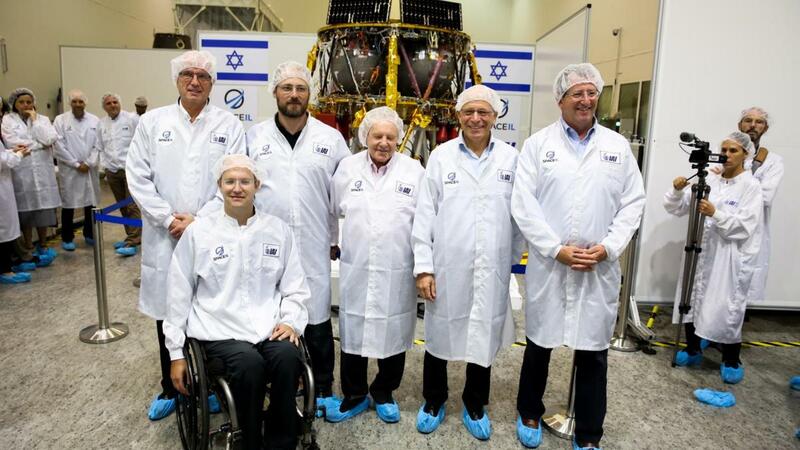 On April 13, SpaceIL Chairman Morris Kahn announces the establishment of Beresheet 2. “This is part of my message to the younger generation: Even if you do not succeed, you get up again and try,” said Kahn, who will recruit a new group of donors to support the launch of another unmanned spacecraft to the moon. A technical team is already in place to begin the project immediately. 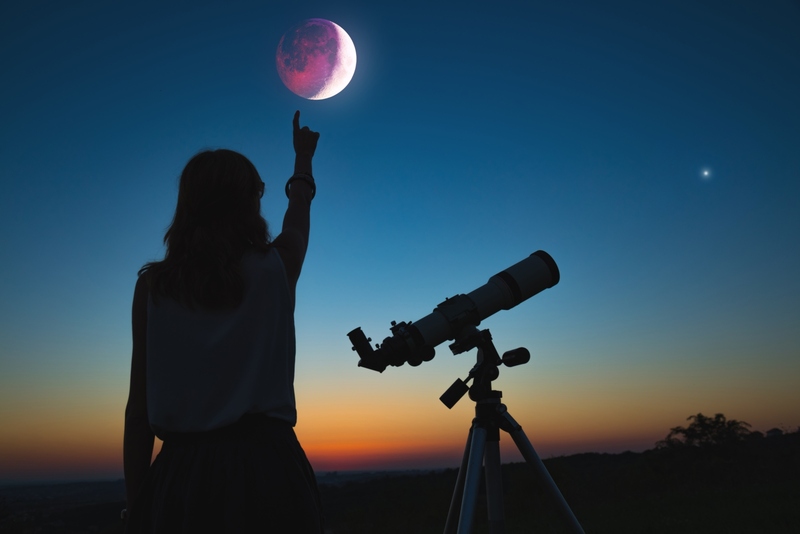 The second attempt kicks off with a $1 million Moonshot Award from the X Prize Foundation in recognition of SpaceIL’s unprecedented accomplishment in getting a privately funded spacecraft to the moon.